Clear water for swiming - beautiful scenery and stunning sunset. 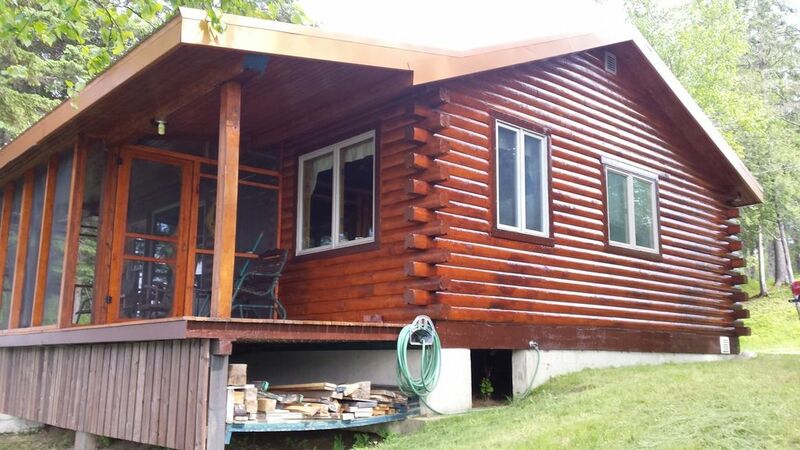 This cabin is situated at gray rapids 3 km from the town of Blackville New Brunswick. Excellent spring fishing right in front of cottage as well as excellent swimming in summer. Experience the thrill of fly fishing for atlantic salmon and trout. Fishing licences and fly fishing supplies easily available in blackville as well as any thing else one may need. Guides are available. Area is perfect for kayaking and tubing. Atlantic salmon fishing is restricted to fly fishing only and all large salmon caught must be released alive to protect the spawning population. Since this fishery is highly regulated, all anglers should contact the New Brunswick Dept. of Natural Resources to obtain the specific rules and regulations for each river and tributary in the Province of New Brunswick prior to fishing, as special licenses, salmon "tags" and permits are required, and certain sections of tributaries and the main river are closed to fishing from time to time to protect salmon brood stocks. Please call if possible before emailing.